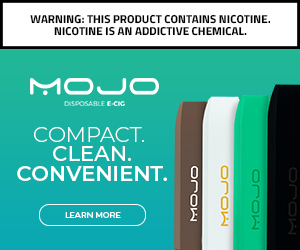 In the quest for the better vape experience, I stumbled across this little gem while looking for a squonker to try out (hint: this article was not the first squonker I tried). I decided to take off the Combo RDA and give this a whirl. The color options on this are pretty impressive. Black, Silver, Ultem, White, Red, Blue, Golden, and Purple. I picked up the Silver version. The first key I noticed off the bat was the lack of guidance on how long to cut your leads on your coils. While this has a wide enough base to support two coils, one larger coil is ideal for this device. Granted, you may need to squonk a little more often with one coil, but the capability to support a single stapled frame coil on a single battery squonker is worth it. You’re in it for the flavor, right? Would I purchase this again, should something happen to the one I got? Absolutely. I feel that this is a more budget friendly SRDA that can hold it’s own on flavor with the best of them. 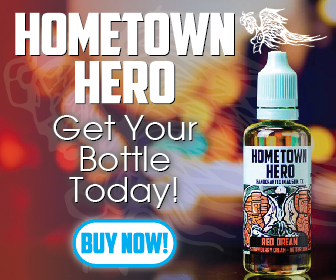 Click the banner below to purchase this and anything else at the VaporDNA website. Use the code “DNA10” to save 10% off your order.